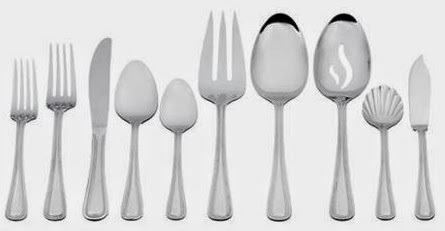 This Mainstays Mallory 45-piece flatware set (service for 8) is $19.99 at Walmart with free in-store pickup, (or free shipping with a $35 minimum purchase or $5.99 shipping). That price comes to $2.50 per setting! It got 4.2 out of 5 stars over 65 customer reviews.